which has its Headquarters at P.O. Belur Math, Howrah, West Bengal. 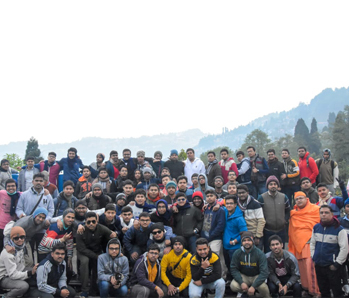 The Ramakrishna Mission Vidyalaya is a unit of the Ramakrishna Mission Ashrama, Narendrapur which has its Headquarters at P.O. Belur Math, Howrah, West Bengal. 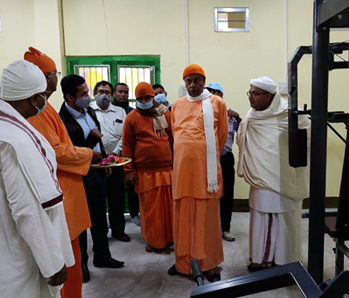 Since its start in 1958, it has been a residential school for boys established on the foundation of the high ideals of Swami Vivekananda, implementing the man-making and character-building ideals of education as propounded by him. The Vidyalaya is envisioned in the image of Indian gurukul system where precious traditions and cherished values of the past and modern educational concepts have been integrated. It presents a synthesis of all that is best of the eastern and western models of education. It follows the trail as a paradigm of excellence to promote its culture and tradition. The green natural surroundings have given it a special identity. 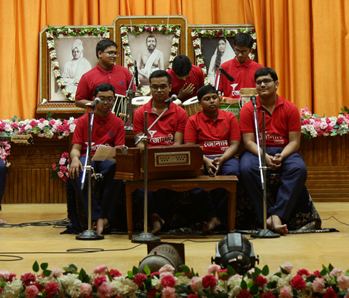 The Vidyalaya, its students and staff all enjoy the blessings of Sri Ramakrishna and the Holy Mother, Sri Sri Saradadevi. Till 1975, it was the only school in West Bengal which offered instructions in six streams, viz. Science, Humanities, Agriculture, Technical, Commerce and Fine Arts. Thereafter, the Vidyalaya was converted into a Secondary School under the West Bengal Board of Secondary Education, with Bengali and English as medium of instructions. Since 2005 the plus-two (Higher Secondary) Course has been introduced in the Vidyalaya with only Science subjects viz. Physics, Chemistry, Mathematics, Biology / Statistics along with compulsory Bengali and English. The new Higher Secondary Course has got due affiliation from the West Bengal Council of Higher Secondary Education. Further addition depends on the availability of accommodations and other amenities. The Vidyalaya consists of two separate campuses, each with its own school building and hostels. The boys of the junior classes stay in Junior Section campus. They have a nice three-storeyed school building and three hostels. They also have their own extensive play ground, a library specially meant for young readers and a small auditorium for cultural activities. The boys of senior classes are put up in the Senior Section campus where they have their own facilities. They have a large two-storeyed school building, six hostels and workshop. There are also playgrounds, a stadium, a gymnasium, a spacious auditorium and a library. 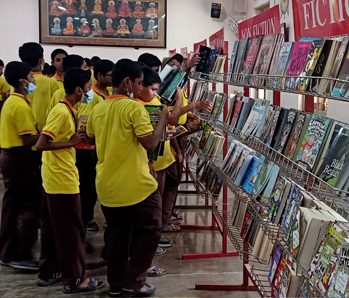 About 850 students are on the roll of the Vidyalaya at present. Students come here from different parts of India. They also have different religious faiths. Some of them belong to scheduled castes and tribes. 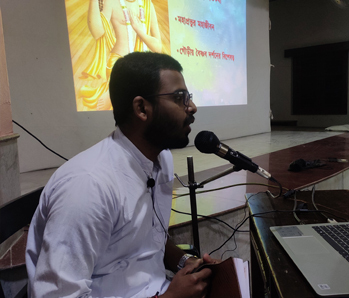 Students can choose either Bengali or Hindi as the first language, there being separate classes for the purpose. The staff and students coming from different regions of India live here as members of one family. Narendrapur has turned into a miniature India, so to say.